The Islamic finance ecosystem includes appropriate legal and regulatory frameworks that recognise an intrinsic approach, allowing it to operate efficiently in a diversified financial system. In addition, it includes adequate supervisory, accounting and taxation frameworks, which provide a level playing field and promote healthy competition between Islamic and conventional finance. Functional and dynamic Islamic money and capital markets, with enough supply and trading of instruments to meet the growing demand of the industry, complemented by bespoke liquidity management solutions and financial safety nets are also required. Corporate and Sharia governance structures that are fit for purpose, as well as strategies for developing sustainable human capital and awareness, are part of this ecosystem, which now includes technology as a critical component. Some countries are applying an integrated approach towards developing this ecosystem; however, a wider effort at industry level is required from the active players and new entrants in Islamic finance. Indeed, the industry has grown remarkably, but is still short of reaching its full potential in the absence of an enabling environment. It’s like the difference in performance between driving a Formula 1 car on a bumpy dirt road and driving it on a race track. Hence, having bespoke policies and frameworks gives Islamic finance the opportunity to operate in harmony within the wider financial system, and enable it to demonstrate its true spirit and tangible benefits for governments, businesses and people of all backgrounds. This approach requires a unified vision of Islamic finance, underpinned by the concerted efforts of all stakeholders. The countries that enjoy market leadership are reaping rewards of such vision; Malaysia and the UK are great examples. Having the experience of working with more than 20 governments and regulators on different types of issues related to the development of Islamic finance, Islamic Finance Advisory & Assurance Services (IFAAS) knows that having a common vision of Islamic finance shared by all stakeholders usually comes at the top of the success pyramid. Co-ordinating and channelling all efforts towards achieving the vision and the agreed objectives comes second. Thirdly, the market must have adequate and supportive frameworks and policies, well-designed strategies for human capital development and, of course, raise awareness. These are the critical factors that lead to the success of Islamic finance in any market. 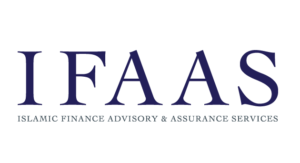 IFAAS is an international advisory firm, fully dedicated to Islamic finance. During more than a decade, the company has been fortunate to undertake projects in over forty countries spanning five continents. Winning the first Ethical Finance and Innovation Award for the IFAAS Mudaraba-based working capital financing product for corporates and small and medium-sized enterprises. The journey continues as IFAAS spreads its wings towards developing Islamic fintech solutions and looks forward to continuing to play a leading role in developing an inclusive Islamic financial industry within the true spirit of the sector.